No Invisalign staining, no cleaning right? So you’ve diligently followed all the rules when it comes to Invisalign eating and drinking. You’ve taken your Invisalign trays out every time you’ve eaten and haven’t even succumbed to the old trick of Invisalign drinking with a straw. Nothing has passed your lips when wearing your aligners except still (or the occasional sparkling) water, and it shows… you have crystal clear. stain-free Invisalign aligners. That said it’s still vital that you adopt a regular Invisalign cleaning routine. Because at any given time there are somewhere between 100 million and 1 billion bacteria that live in the mouth and they love places to hide such as the underneath of your Invisalign aligner. A failure to keep your aligner clean is likely to result in something that isn’t too pleasant. So with this in mind, how often should you clean your Invisalign Aligners? Invisalign cleaning should be a daily task. In fact, every time you clean your teeth (after every time you eat) you should clean your Invisalign aligners too. Not only that, thorough Invisalign cleaning goes a long way towards preserving the life of your retainer. How to clean an Invisalign retainer at home? The good news is that there are a variety of natural Invisalign cleaner products that can be used, in addition to proper Invisalign cleaning agents. Products such as heavily diluted hydrogen peroxide, vinegar and baking soda have been proven to shift Invisalign staining and yellowing. That said, caution should always be taken when using anything other than professional Invisalign cleaning products. NB – Remember that professional cleaning products for Invisalign aligners are meant to be preventative, so if your Invisalign aligner, already contains a layer of white film, then it’s possible that it can’t be removed using this type of cleaning. 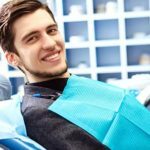 For this reason, understanding how to clean Invisalign using natural products such as vinegar, baking soda or hydrogen peroxide may be an advantage. Anti-bacterial mouthwash for Invisalign – Should you or shouldn’t you! Talking about preventative measures, you may be forgiven for thinking that antibacterial mouthwashes have an important role to play when ensuring your Invisalign aligners stay clean and germ-free. However, just like toothpaste, what’s good for your teeth and mouth, might not always be good Invisalign trays. Why you shouldn’t use mouthwash as an Invisalign soak. The alcohol contained within the mouthwash may cause your Invisalign aligner to weaken, so when used as a soak, it may eventually damage them. Not good when you’ve spent a decent sum of money on Invisalign. Of course, you can always use zero alcohol types of mouthwashes. However, while there is no clear evidence to support it, some Invisalign patients have reported that the dye found in mouthwash (particularly the red or green variety) has stained their Invisalign aligners, in addition to cleaning them. 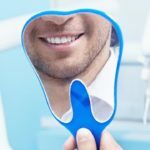 Hopefully, these important factors have given you a greater understanding or how to clean Invisalign so you retain not only a healthy mouth but also a crystal clear Invisalign aligner. For further information on best practice cleaning care for Invisalign aligners, or indeed if you’d like to find out more information about how clear aligners can straighten your teeth, give the team at Infinite Point Cook Dental a call 03 8595 2630 to book an appointment.